La Union , The Union in Spanish, was coined as such when the Spanish government decided to merge some of the towns of Ilocos Sur and Pangasinan. This province has been popular among surf enthusiasts, making it a water sports paradise. Travel time from manila to La Union will be an estimate of 5-6 hours. Before you head on to La Union, here are some of the things you should do during your vacation. Known as the surfing capital of the north, La Union offers a diverse experience for surf enthusiasts. The beaches of San Juan have grown popular among local and foreign surfers alike as it is known to have the most perfect waves in the region. If you are a beginner, you don’t have to worry. Trained surfers are available to give you the basics in surfing. Museo de La Union is Located in San Fernando, La Union. It features archeological finds and historical artifacts which were dated back from the pre-spanish period. The museum is open from Mondays to Fridays, 8 am to 5 pm. This paradise can be found in San Fernando, La Union. 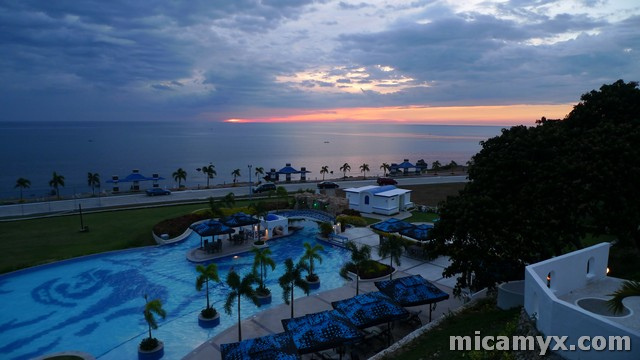 Known as a Santorini-themed resort, it has easily captured the attention of the tourists, making it one of the most popular resorts in La Union. This resort features an exquisite dining experience, world-class gaming facilities and top-notch service; thus, giving you an extraordinary experience and a luxurious vacation. This 50’s inspired restaurant is known for its budget-friendly meals (less than 200 per order). Also, the restaurant takes pride of having the juiciest baby back ribs. Tourists flock the place during lunch time so it is best to come in early. Now that you have an idea on the coolest things to do in La Union, it is up to you if you wish to include all of these in your list. But never miss out on taking a dip on the cool waters of La Union as it will surely quench the heat of today’s climate. Enjoy your vacation and don’t forget to strike a pose!